For many businesses today, ERP isn’t a question – it’s a necessity. The more a business grows, the more it will need to adjust its systems and operations to handle the influx of data coming in from all angles. ERP, which stands for Enterprise Resource Planning, is first and foremost a tool for business operations that is based on cross-departmental integration. ERP takes the individual processes and operations from each department within a business and collects them to form a centralized software system than serves the specific needs of each department. Essentially, it is a software program that acts as a nucleus, benefiting all departments from one integrative location. ERP needs may vary from business to business, depending on the business’s stage of growth as well as its industry and product(s). However, there are several basic features of ERP that are universally beneficial and should never be ignored when the time comes to select the right ERP for your business. Take a look at our brief list to find out which features of ERP you should never, ever do without. What use is an ERP system if it fails to pay off financially? As a growing business, you need 24/7, real-time visibility into your business’s finances. Fortunately, many ERP systems have advanced capabilities when it comes to keeping an eye on and even managing those important numbers. Make sure you choose an ERP system that includes comprehensive financial analytics, cuts costs wherever necessary, and provides streamlined, up-to-date information on all things monetary within your business. If you can, find an ERP software program that integrates CRM, or Customer Relationship Management. CRM functions as it sounds; it is essentially a program that helps a business monitor and improve upon its customer relations, collecting, distributing, and managing customer-related data. Since businesses ultimately revolve around people, integration of ERP and CRM is critical to meeting the needs of your customers and your employees, which in turn generates more revenue. A Manufacturing Execution system enables the manufacturer to reduce cost. This helps optimizing inventory and easy procurement. An effective Manufacturing Execution helps reduce the production cycle and improves procurement planning. Quality Management System is absolutely an essential for large organizations with multiple product lines. Maintaining a consistent high quality is difficult without a matured Quality Management System. Most ERP systems are equipped with Quality Management Systems however efficiency of such system may vary from vendor to vendor. A good Quality Management System must have at least Audit Management, In-process Inspection, Quality documentation and Process Management. One of the best Supply Chain Management system is used by companies like Apple and its followers. Supply Chain Management is key to agile product manufacturers who require quick feedback and faster response. A good Supply Chain Management can make your company ready for sudden high volume demands. This one is incredibly important nowadays. With a growing number of business operations happening outside of office headquarters, mobility should be a key factor in determining which ERP system best fits your company. Choose and ERP system that allows your employees to track and manage processes from wherever they are – the more flexibility, the more easily they can satisfy customers and keep the business running smoothly. Large organizations require an accurate and fast Executive Information System that can consistently provide information to company executives. Information is key to decision making process. Therefore a better Executive Information System speeds up the processes. CRM isn’t the only thing your ERP system should be able to integrate. One of the key characteristics of a quality ERP system is the ability to integrate a variety of important programs. These can include (as mentioned before) CRM, PLM, SCM, MES, BI, BPM, and GES. The additional programs you need to integrate with your ERP system will vary based on the type and size of your business, but more than likely, you will want to invest in an ERP system than allows for new programs to be seamlessly added on as your business grows. One of the best ways to ensure smooth and flexible business process transformation and program integration is through the use of cloud-based ERP technology. With a cloud-based system, your ERP system improves drastically. For example, businesses can take advantage of unlimited storage and nix the need to purchase additional storage space altogether. Another benefit includes increased overall performance, since the cloud-based system requires less computer power and does not require a business to set up multiple servers in order for the system to operate efficiently. Business owners should strongly consider investing in or even converting to a cloud-based system if for no other reason than the fact that cloud-technology is taking over as the standard platform for business systems today. An ERP system is extremely large and difficult to learn. Therefore learning curve is an important decision before picking any ERP system. Anyone should be able to start using it without prior knowledge. This may not be possible for all areas, however the on-boarding time for employees is important factor in long term success. In case the ERP is complex, ensure your vendor provides easy access to training material for no cost or a reasonable price. There are plenty of ERP systems around the world. However, not everyone knows about them. You may get stuck with a ERP system that only your vendor knows about. 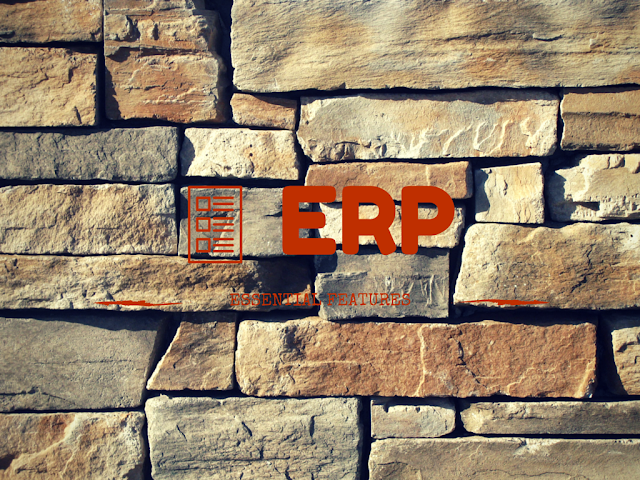 Ensure you pick a ERP system that is widely accepted. This makes it easy to find skilled people at affordable price. For small businesses and startups, this may be really important point to consider. In case, you do not want to make large investments on full time employees who manage ERP software. Picking a popular and widely accepted ERP system may help you find freelancers easily. This is cost effective and works best with strategies of startups where core focus need not shift. Choosing the right ERP system for your business is one of the most important decisions you will ever make when it comes to technology. The key is to know your business’s current needs and requirements to grow, and moreover, where you want your business to go in the future.